Brazil is openly supporting nationalist presidential candidate Ollanta Humala since the beginning of Peru's presidential campaign in January, according to various news sources including Peruvian weekly magazine Caretas, Spanish daily El País, and The New York Times. So far, the South American giant has been a mediator in several regional conflicts, such as the highly heated disputes between Venezuela and Colombia, the Bolivian internal crisis or the coup in Honduras, but it never had been so implicated in a foreign presidential run as in Peru's. Why? The new campaign strategy, unlike 2006 -- when Humala had a die-hard radical image, "donned red T-shirts, boasted of plans to assert state control over energy resources and blasted opponents for warming to the United States" as portrayed by The NY Times -- was kept in strict secret until the Peruvian press started to ask the nationalist candidate himself if it was true. Brazil's ruling Worker's Party -- Partido de los Trabajadores (PT) -- of which former president Luiz Inácio Lula da Silva and current president Dilma Rousseff are active members, sent campaign political advisors to Peru. The mission: to revamp presidential candidate Ollanta Humala's image from a die-hard left-wing radical to a soft-spoken moderate conciliator. "We do not have any advisory relationship with the PT. The campaign team has hired the services of campaign experts. Among them, there are some Brazilians, but they have no connection with Lula's PT," said Humala at the end of March to RPP radio station denying such a support. But the truth leaked out eventually. Other nationalist members spoke under the condition of anonymity to political magazine Caretas, comfirming that the Brazilian advisors were indeed from the PT. Alberto Adrianzén, recently elected to the Andean Parliament, admitted to La República that "maybe" they were working with strategists close to the PT. Five days later Humala said it was not true. But it was too late for the nationalist candidate to hide his most valuable strategic weapon for this election. 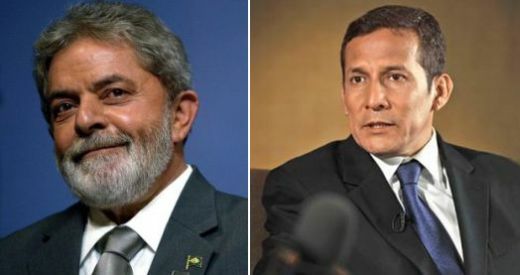 Brazilian advisors Luis Favre and Valdemir Garreta have been working in Lima since the beginning of 2011 -- mid February, according to Caretas -- to "moderate" Humala's discourse in order to broaden his support and attract more voters. Their arrival was probably decided after Humala visited Brazil to attend the 31 anniversary of the PT, where he spoke with Lula. Favre and Garreta have followed the "peace and love" strategy created by the expert, João Santana, the mastermind that triggered Lula's presidential victory in 2002, after three failed attempts. The tactic was simple: avoid confrontations and radical proposals to break the resistance of Lula's image as a union worker leader. "With Humala the work has been harder because he is an ex-military and coup supporter and he is considered a disciple of Hugo Chávez," says El País. Humala had to start the 2011 election campaign strengthening his base of electoral support with radical promises. But the Brazilian strategists said that what had to be done is just exactly the opposite. It was necessary to reduce the resistance to the nationalist project. "And they were right," explain sociologist Sinesio López, a close collaborator of Humala. "Ollanta is far from Hugo Chávez. He admires countries like Brazil and Uruguay. He would be a president with a profile such as José Mujica in Uruguay or Lula in Brazil," he said. 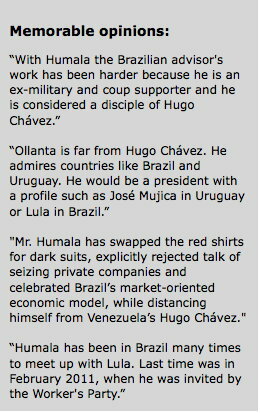 "Mr. Humala has swapped the red shirts for dark suits, explicitly rejected talk of seizing private companies and celebrated Brazil's market-oriented economic model, while distancing himself from Venezuela's president, Hugo Chávez," wrote The New York Times. López says that the Brazilian advisors also advised Humala to include moderate left politicians in his congressional list. It is the case of Javier Diez Canseco, one of the biggest opposers to the Fujimori regime. Diez Canseco is a "devoted" assistant of the São Paulo Forum, the yearly summit of left-wing parties initiated by the PT in 1990. The forum includes the whole spectrum of political groups — from the most radical to the most moderate — that rule a dozen countries in the region and are the main opposition political force in other five countries. João Cerqueira de Santana Filho, the orchestrator of Humala's current campaign strategy, was born in the state of Bahia and worked as a journalist for Jornal do Brasil and O Globo newspapers. 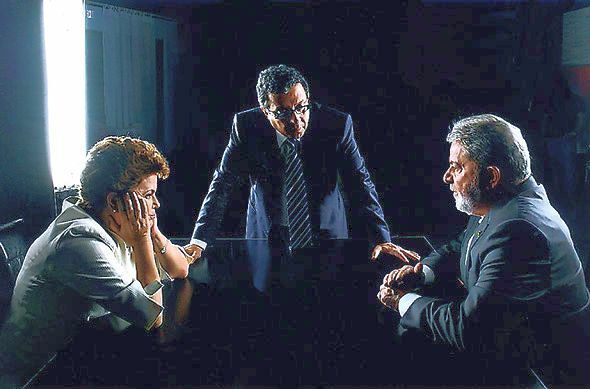 Between 1992 and 2002, Santana worked with Duda Mendonça, the ex marketing strategist of the PT, accused by the Brazilian press of making electoral campaigns with money obtained from bribes. According to the Brazilian magazine Veja, Santana was a business partner of A2CM Limited, a company that Mendonça used to orchestrate campaigns with illegal money. The relationship between Santana and Mendonça came to an end in 2002 right before Lula's campaign started. "The reason was a dispute over vanity, but also due to money over the campaign of Eduardo Duhalde, Argentina's presidential candidate in 1999," sustains Veja. A2CM was shut down in 2003. Since then, Santana forged his career alone. In 2002 he met Lula and advised him how to defend the country's economic achievements, especially those attained by the poorest people of Brazil. "Santana also advised Lula to have a more aggressive response against corruption. Lula followed the suggestion and it gave some positive results," says Veja. Jacqueline Fowks, a journalist from IDL-Reporteros news agency, warned in late March that the "Carta Compromiso con el Pueblo Peruano" (A Letter of Commitment with the Peruvian People) -- made public by Humala to calm down Peru's entrepreneurs and most conservative sectors about his government manifesto -- was identical to the "Carta ao Povo Brasileiro" (Letter to the Brazilian People) used by Lula in June 2002 for the same purpose. "Humala has been in Brazil many times to meet up with Lula. Last time was in February, when he was invited by the PT," said Fowks to LivinginPeru. As a result of this "friendship" between Humala and Lula, the Peruvian nationalist has "repeatedly praised Brazil and Brazilian companies, which are major investors in Peru's mines, steel industry and hydroelectric projects, and the new Interoceanic Highway connecting western Brazil to Peru's Pacific coast. All together, Brazilian investment here could climb above $30 billion over the next decade, according to the Brazil-Peru Chamber of Commerce and Integration," says The NY Times. "The Brazilian experience has delivered success and results by respecting freedom of the press, the adequate management of the macroeconomy, monetary stability," assures Humala. "As a result, Brazil has combined economic growth with social inclusion." But what is the real motivation of Brazil's closeness to Humala? "There are many Brazilian construction companies in Peru that have already done good business with Alan García's administration. They are highly interested in keeping their privileges in Peru," says Fowks. Brazil and Peru signed an energy cooperation agreement in 2010. The document will enable Brazil to built at least six huge hydroelectric plants, including Inambari, the closest to the Peruvian-Brazilian border in order to satisfiy their domestic demand of around 4,000 MegaWatts. The South American giant has invested billions in building two Inter-Oceanic highways -- one finished and the other under construction -- in order to fulfill a long-time dream: To have access to the Pacific Ocean though Peruvian ports, their ideal doorway to the promising Asian markets.